Can we still rely on the traditional lock & key to keep us safe? Unless you live in a commune or spend most of your days right outside your door, you want a strong lock limiting access to your property. Whether you own an office space, store, commercial real-estate or even just a small residential apartment, the old Lock on the Door system is remains more relevant than ever. Low costs and high returns? Sounds like a sweet deal! When talking about traditional locks we usually talk about deadbolt locks, knob locks and mortise locks; these locks are definitely old, but at the same time – they are never old fashion as these are still the top selling locks world (not taking into account China, where most urban buildings use smart locks). 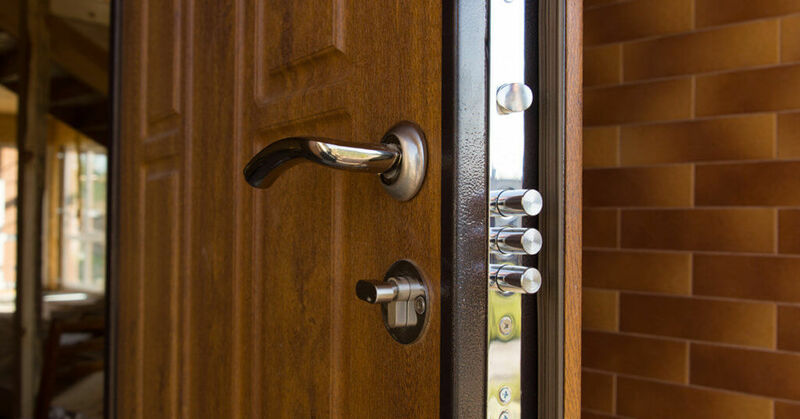 Any locksmith service will verify for residential clientele these 3 options remains relevant through time and the reason is simple- they are very strong, highly reliable, there’s no ‘smart’ way to break them (you need to make some noise) and they cost worthy as these locks can stay strong for years. What’s the downsides of traditional locks? Still, smart locks seem to be the way of the future in cases where extra security is needed, locksmith services around the world are now working with smart locks and almost any commercial property use at least one kind to secure its gates. The reason is anyone with a key can open the traditional lock, and sometimes – that’s just too risky and you want the option to choose the individuals with access or even have remote control, traditional locks can’t give you that. Also, using a simple strong lock does not allow you to remote control the situation when an actual burglary is taking place- smart locks can usually identify it and block all entry. What’s the best option for my property? Any locksmith service would tell you- there’s not one glove to fit all when your security it at stake; there are strong reliable traditional locks to secure your property but perhaps some areas in it would benefit from further restrictions? Maybe a traditional lock is all you need and maybe there’s a reliable smart lock to fit your needs better. A locksmith in Miami would tell you first hand- some areas of the city compels you to have a traditional lock. At quickly locksmith we hire certified locksmiths who can offer top of the line locksmith services 24/7; we know what you need, based on our years long experience and impeccable reputation as the leading locksmith service in Miami.